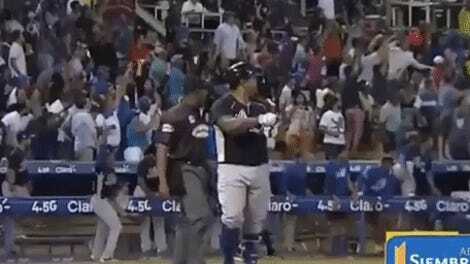 Bat flips are great, as a stylish way of punctuating a mighty dinger. It’s less cool but probably acceptable to bat flip after a particularly well-hit non-dinger, if that non-dinger should be a walk-off RBI single. However broadly you are prepared to abide the spread of the bat flip, probably baseball fans of all dispositions are a long way from approving of its use on harmless fly outs. Max Muncy has other ideas! 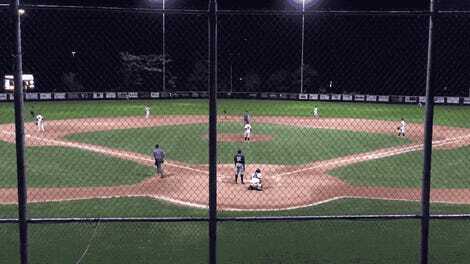 It’s one thing to bat flip on a ball that gets ripped back from over the wall on a spectacular grab. That would be embarrassing, but at least there’d be the comfort of knowing only a heroic play kept it from being a home run. 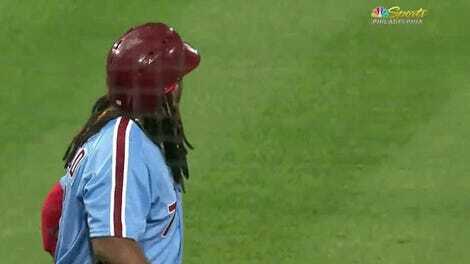 This ball is caught comfortably on the warning track! This is as close as a baseball player can get to Nick Young turning his back and celebrating a three-pointer as the ball rims out behind him. 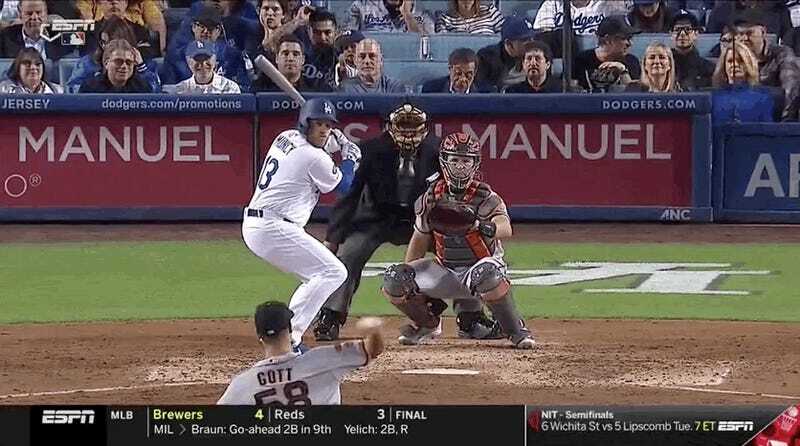 Max Muncy’s bat-flipping rights should be temporarily suspended while he works to recalibrate his dinger recognition skills.